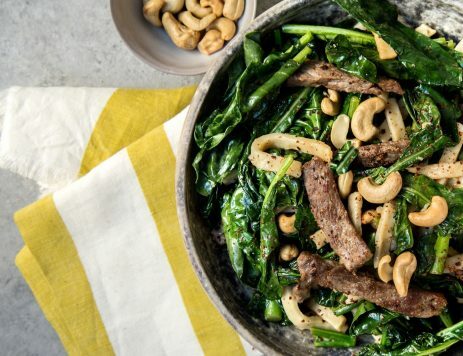 How To Sauté, Stir Fry & Pan Fry - What’s For Dinner? There’s a fine line between sautéing, stir frying, and pan frying － and it all comes down to the size of the food and level of the flame. Master the fundamentals of each stovetop cooking method with these tips. Cut vegetables into even bite-size pieces. Add a small amount of oil. Add vegetables once oil begins to shimmer. They should sizzle in the pan. Toss or stir vegetables frequently until tender and slightly brown. Add a splash of balsamic vinegar or lemon juice for new flavors. 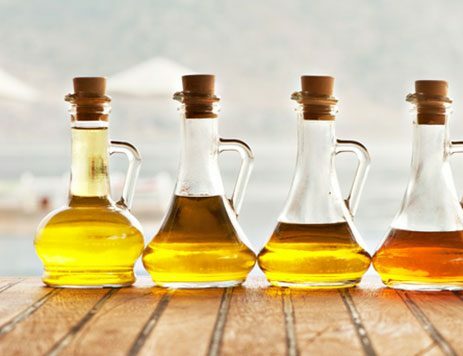 Experiment with different cooking oils like sesame oil, extra virgin olive oil, or clarified butter. Cut vegetables and proteins into bite-size pieces. Add a small amount of oil to a wok over high heat. Cook raw meat, poultry, seafood, or firm tofu first. Sear protein on both sides and set aside. Add more oil if necessary. Add vegetables and stir constantly, scraping up any brown bits in the pan. Stir in your favorite seasoning or sauce. Add cooked meat back to the pan and stir so all the flavors meld. The center of the wok is the hottest. Tossing the food evenly avoids burning. Add soy sauce, ginger, fresh basil, or chili peppers for extra flavors. Add sesame seeds for a nutty crunch. Remove excess moisture from your meat, poultry, fish, or firm tofu. Add enough oil to coat the bottom of the skillet. Place seasoned food into the pan and cook for 3 to 4 minutes on each side until done. Try this method with boneless chicken breasts, salmon fillets, or boneless pork chops. Pan-frying also works great with extra-firm tofu and favorite herbs and spices. Get more flavor by adding sauces to pan-fried foods. After cooking, remove the excess oil from the pan and add your favorite sauce. Toss the food to coat evenly. Make sure to remove the food before the sauce burns.